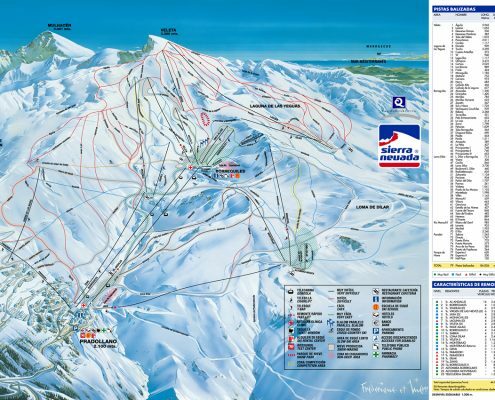 There are 106 kilometres of action-packed pistes across four ski areas with the top chairlift taking you to 3,398 metres, just shy of the Veleta peak. The height of the resort is the secret to its success as Europe’s most southern resort – the beautiful snow sure conditions are matched only by its southern sun. Sierra Nevada is just 17 miles from Granada and it is possible to swim and ski all in the same day. 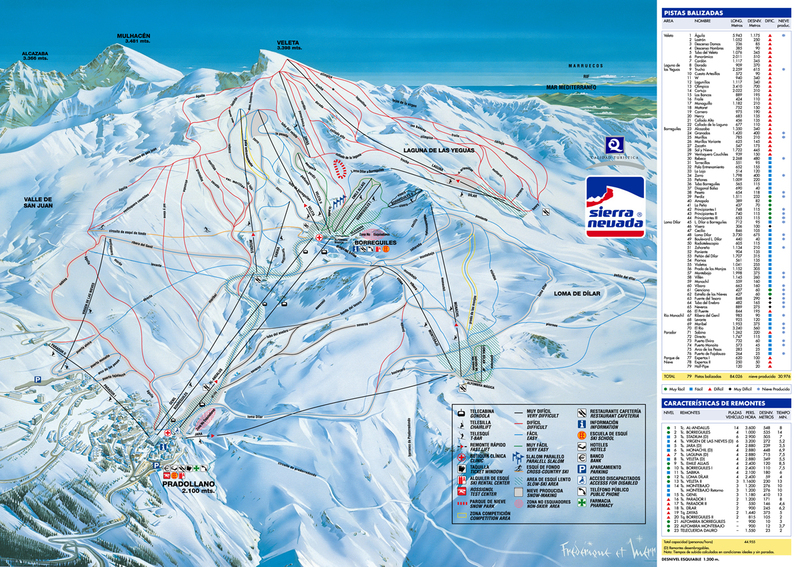 You can see Africa from the top peak and enjoy good weather while skiing from November to May. The pisted area is mainly geared towards intermediate skiers but there are plenty of off-piste opportunities and a fantastic freestyle area for the more advanced. The main beginners area is at the top of the first gondola. 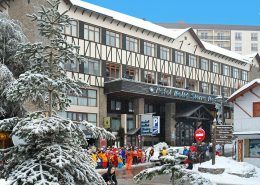 We offer bespoke packages to Sierra Nevada, including a meet and greet service with the British Ski Centre who will be your resort representatives, please get in touch with our team to discuss holiday options. Night skiing is available on Thursday and Saturday nights and the resort village, Pradollano, offers a large selection of shops, restaurants and bars to cater for all ages. Whether you decide to drive, fly or take the train, you can be sure of a warm welcome when you arrive in Sierra Nevada. 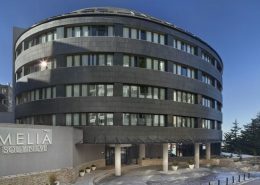 There are a number of hotels in Sierra Nevada but we particularly recommend the Melia Sierra Nevada and the Melia Sol y Nieve. The resort crèche facility caters for younger children from four months to eight-years-old. It has a maximum capacity of 25 children so pre-booking is recommended. The nearest airport is Granada’s Federico García Lorca Granada-Jaén Airport. Low cost airlines are now operating to and from this airport. Malaga and Gibraltar airports also offer close options for reaching the Sierra Nevada. We can provide all your transport needs from the airport, with private minibuses available to carry individuals, families and large groups. Alternatively you can book your car hire through Ski Inspired car hire.